but when I do it, everyone thinks i'm creepy. I've been blogging for a little over a year and a half, and I've been invited to quite a few Blogger Events. I normal don't go to them because I'm actually quite shy in real life (Yes I am, believe it or not.. At first.. hehe..). 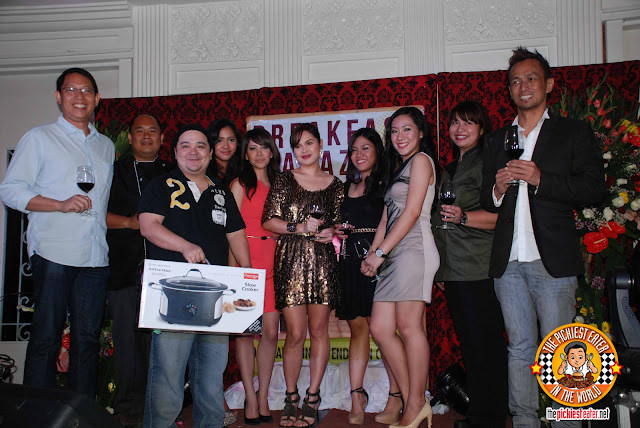 In fact the first "Blogger Event" I actually went to was the Philippine Blog Awards held early December of last year (I was a finalist, but I didn't win. But I'm not bitter.. Those death threat letters the members of the judging committee received weren't from me, I swear!). However, I did make it my New Years Resolution to try to be more active with these events if I want to take my blogs to the "next level". 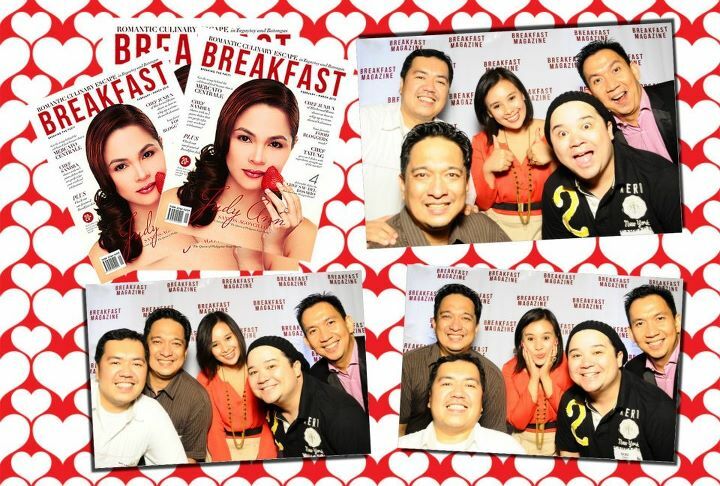 A few weeks ago, I was lucky enough to get an invitation to the launch of Breakfast Magazine, to be held at Enderun College near McKinley Hill. Since I had the New Years Resolution-Resolution in full effect, I wrote back accepting their gracious invite, provided I could bring my official photographer (and security blanket) with me. Alexis Cuison, Editor in Chief of Breakfast Magazine, wrote me back saying she was more than happy to have us BOTH attend the launch. With my numerous open declarations of love for Bacon, I think I've made it pretty clear that I'm definitely a breakfast guy. I enjoy a breakfast buffet even more than a lunch or dinner one (Yeah, I said it). I eat breakfast food at any time of the day. So yes, I believe the people behind Breakfast Magazine invite the right guy to their event. What exactly does Breakfast mean to you? I'm willing to bet you P10 bucks that you'll say "It's the most important meal of the day". But what is it about breakfast that makes it so important? To me, it's the quality time that I get to spend with my wife and daughter. As a working man that has to be out of the house by 9am and gets home by 11pm, Breakfast to me, represents the small gap of time I have to bond with people I love most. And it certainly helps that we're doing something that we enjoy the most.. which is eating. Usually over a plate of bacon and garlic rice, Rina gives me a recap of yesterdays events, and vice versa, and my 4 month old baby Rain is usually placed in her rocker on the table, and she listens intently to our conversations, often cooing and speaking gibberish. It's not much time together.. perhaps 30 minutes at most.. but I can safely say it's ALWAYS the highlight of my day. As Rina and I entered the Atrium, (And though it's not evident from my picture above) I was relieved to see the familiar face of RJ Ledesma, whom I've gotten to meet over my many adventures at Mercato Centrale and Soderno. Though I've seen him on TV numerous times I've never seen him host a live event in person, so it was cool to see the man in action, as he masterfully handled Master of Ceremonies duties, and kept the atmosphere light. 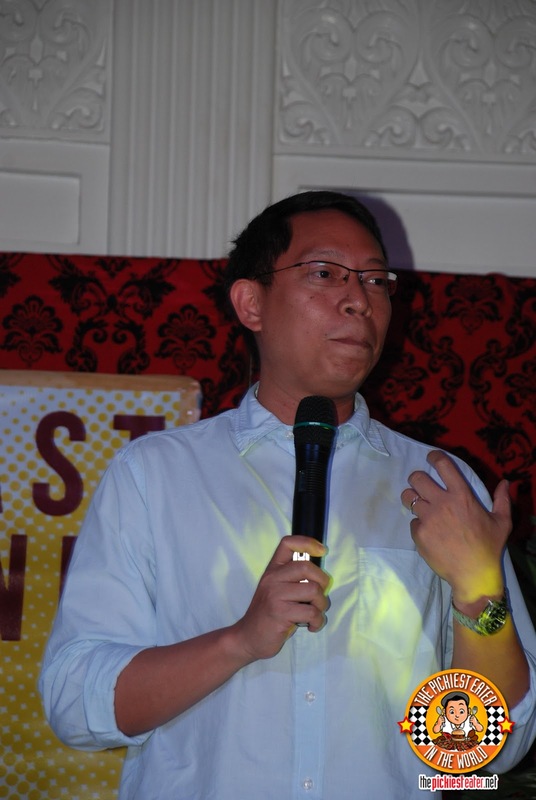 The fascinating story of how Mercato Centrale came to be is featured in the magazine as well. I was surprised to find out how young Breakfast Magazine's Editor In Chief, Alexis Cuison was. But based on our short conversations and email correspondence, It's clear that she's a bright young lady with some fresh ideas. I'm excited for the plans Breakfast Magazine has in store for us all in 2012! 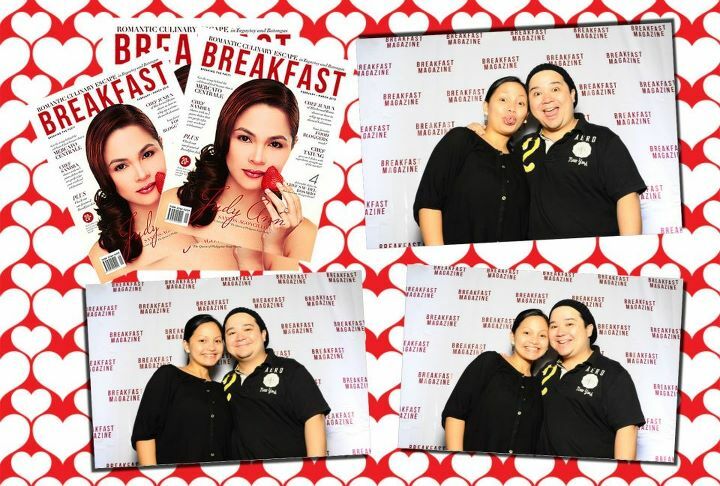 I finally got to meet Blogger Jill Bantang aka The Food Scout (Who is even more stunning in person as she is in her blog), who happens to be a contributing writer of Breakfast Magazine! We were both finalists at the Philippine Blog Awards, and our paths crossed during the awards night itself, but we didn't really know each other at the time, so we didn't get to actually meet. But since then, we've been in touch through our respective blogs Facebook pages and so when we saw each other at the event, it was like I had known her my whole life. She was so easy to talk to and I enjoyed hearing about her experiences. Looking forward to seeing you in more Blogger Events, Jill! 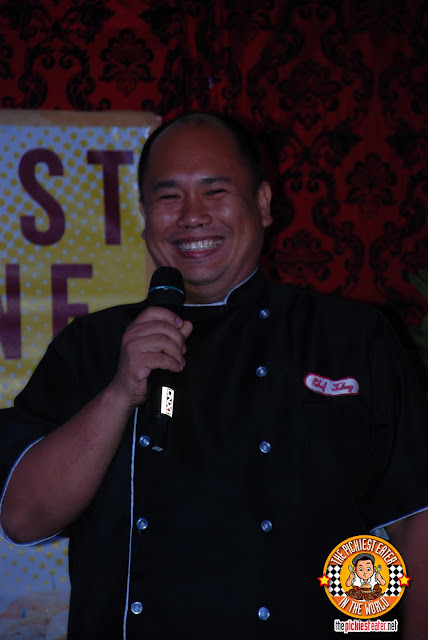 Breakfast Magazine's first guest was Chef Junjun De Ocampo, Executive Chef and Co-owner of Blackwood Bistro (I badly want to try their Smoked Bacon Cheeseburger), who also happens to be a contributing writer of the magazine. He discussed some of the recipes he shared in the magazine, such as "Baked Chicken with Rosemary Garlic and Lime Sauce", and the "Orange Pannacotta". 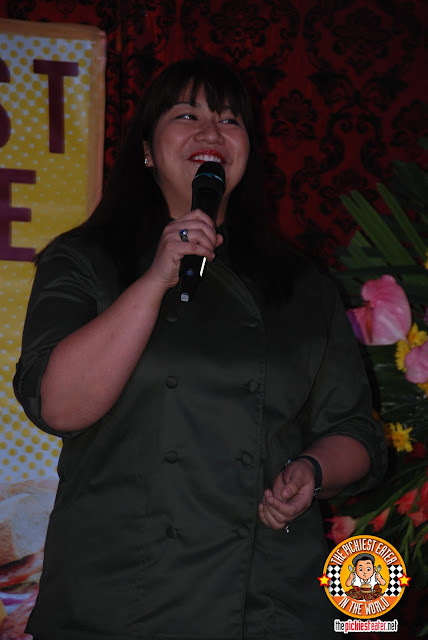 The next Chef that took the stage, was Chef Sandra Hataway of Tourne'. 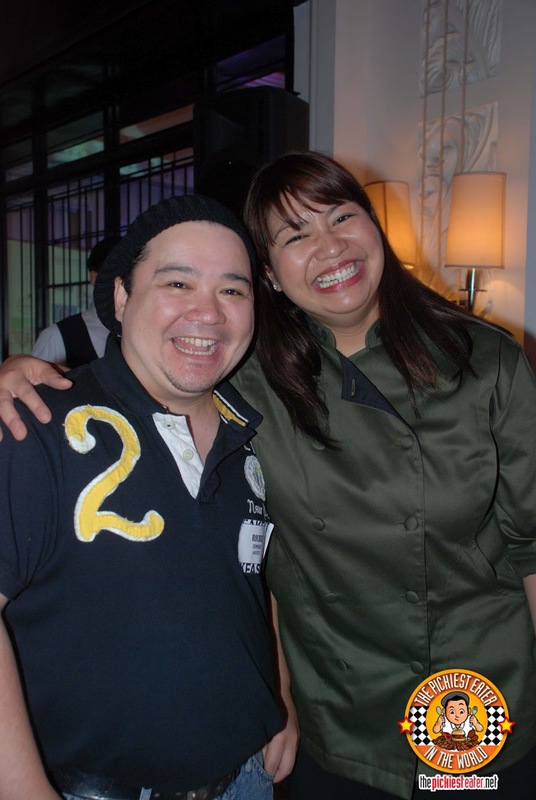 I've been intrigued with Tourne', and their ever changing menu (They change it roughly around every two weeks or so) She discussed the Pasta recipes she contributed to Breakfast Magazine, such as "Carbona-Ma" (using tapa instead of bacon) and "Coconut Cilantro Pasta". Chef Sandra was followed by Chef Tatung, famous for the restaurant of the same name. His recipe for a Chicken Dumpling Soup seemed so simple yet so tasty, and I liked how he created a Strawberry Trifle using Otap! Chef Sau Del Rosario of the popular Chelsea Market Cafe took the stage afterwards. I was hoping he would share his recipe for his Mushroom Risotto that Rina loves so much, however that was not meant to be. 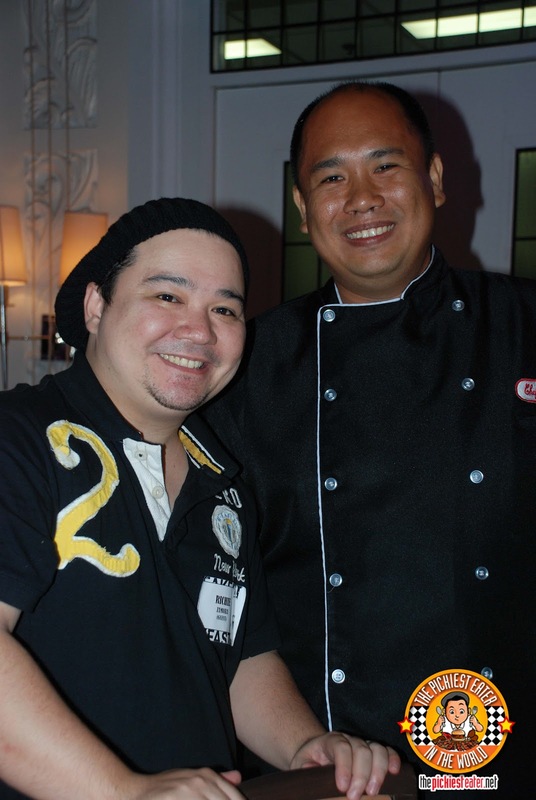 However, in the magazine, Chef Sau does give us recipes for Grilled Barramundi and Raspberry Tiramisu. 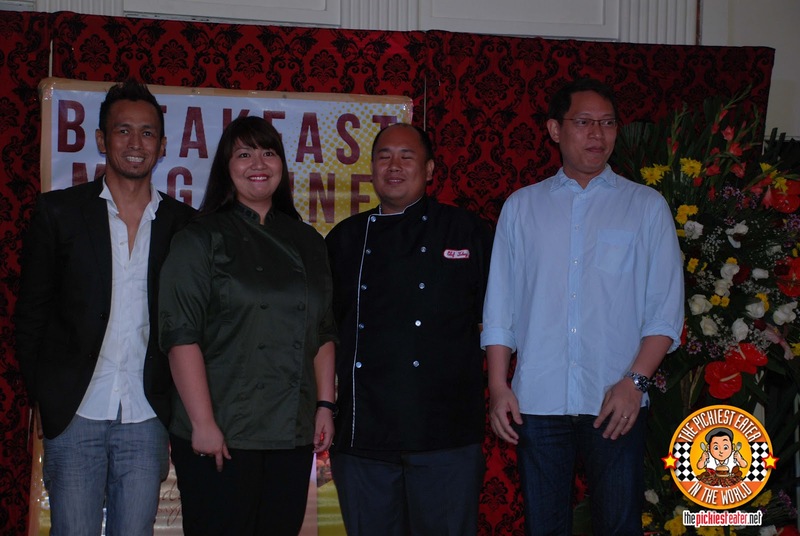 For a food lover such as myself, having these four phenomenal chefs on one stage truly was a landmark event. The mere fact that the brilliant minds behind Breakfast Magazine thought of gathering them together into one magazine was a stroke of genius. If you want the recipes, go out and get a copy of the magazine! 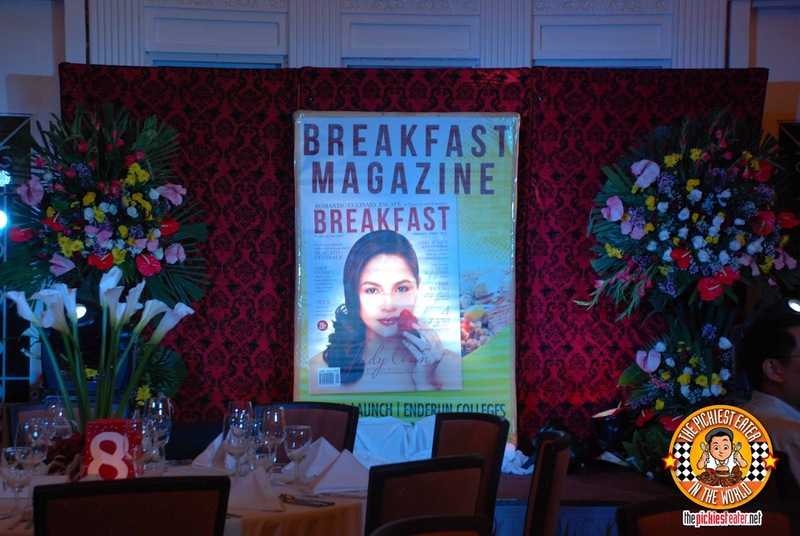 The guest of honor was none other than Breakfast Magazine's maiden issue cover girl, Judy Ann Santos. You're going to have to forgive me because I'm not very up to date with Pinoy Showbiz, but the first thing I said to Rina when Judy Anne walked in was.. "Didn't this girl have a baby a few months ago?" I don't know how she did it, but I have to admit, she looked incredible. 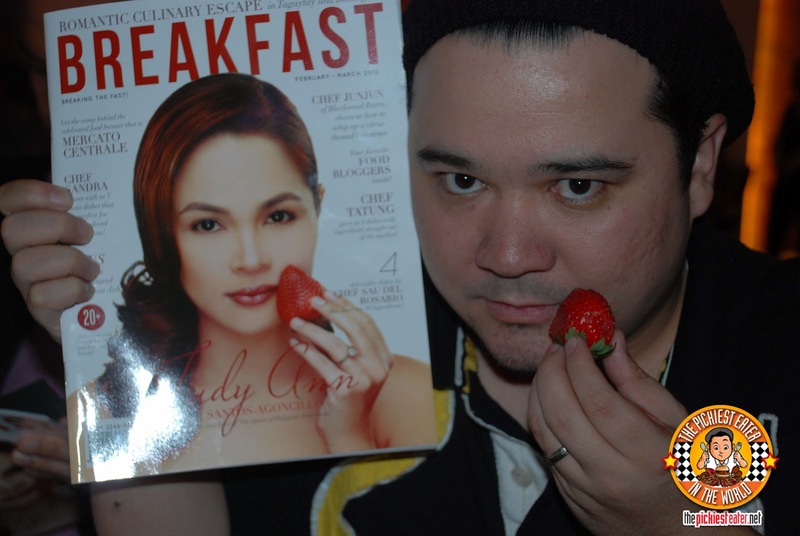 Though her acting career has made her a household name, Judy Ann is getting to be known for her culinary skills as well, which made her the ideal celebrity to grace the cover of Breakfast Magazine's first issue. From here on end, Judy Ann Santos will forever have a special place in my heart.. why? 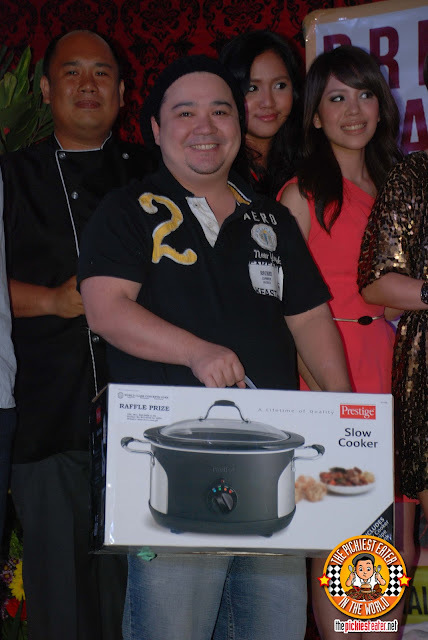 Because during Breakfast Magazine's Raffle in which they gave out a Prestige Slow Cooker, guess who's name she picked out? Despite all the men being above average height and all the women in heels, I was proud to join them all on the stage for a photo opportunity as I claimed my prize. I'm not sure exactly how a slow cooker works, but I'm excited to find out. I can't picture myself waiting 8 hours for bacon to cook, but I'm sure there are some amazing recipes I can find on the net! If you've got any links to slow cooker recipes, please share them on my Facebook page! The lovely ladies of Breakfast Magazine: (From Left to Right) Paola Malong (Executive Editor), Alexis Cuison (Editor In Chief), Feb-March Cover girl Judy Ann Santos, Patricia Marie Baun (Creative Editor) and Samantha Sales (Managing Editor). Chef Sandra was an absolute delight! She made me promise to visit Tourne' very soon.. I guarantee you she didn't have to twist my arm for that one. 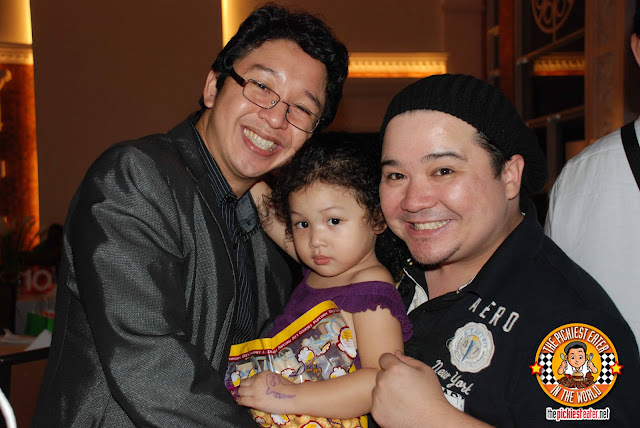 RJ introduced me to his gorgeous (not so) baby girl, Fortune! 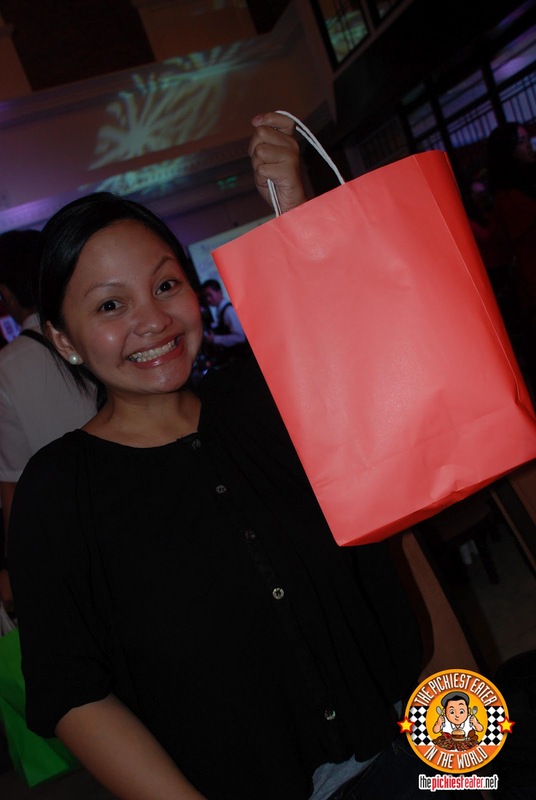 Rina loved her everything she got in her gift bag! 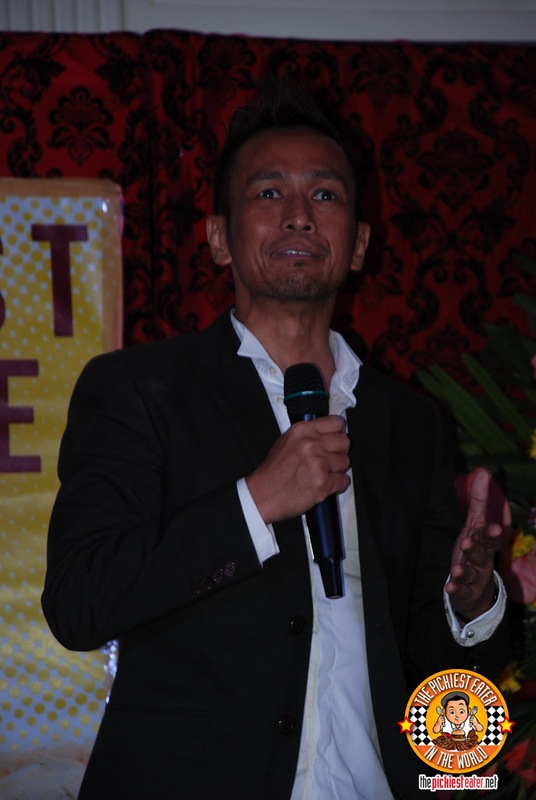 Mhel and Ken, I wish we could've met you both there too! Do you have a blog post on it already, Michy? You'll enjoy the magazine too.. Not just your mom! I plan to! he's a very nice guy, too! read his article in Breakfast Magazine! i wanna try their macadamia nut sansrival! Im a little concerned what it might do my eyeballs though.. oh well.. who cares! Haha i'll take that as a compliment! And don't worry about your photography! Your pictures look awesome!